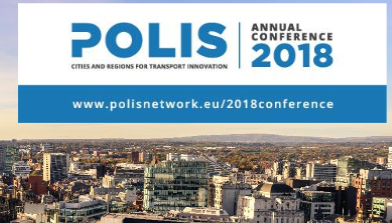 The 2018 Annual Polis Conference 'Innovation in transport for sustainable cities and regions' will take place on 22 and 23 November in Manchester United Old Trafford Stadium, Manchester, United Kingdom. It is the network's annual flagship event. It provides a unique platform to engage with representatives of cities and regions. It invites organisations and projects to showcase innovative solutions and approaches that can help to solve urban mobility challenges. The 2018 Polis Conference and exhibition attracts both technical and political decision makers from European cities and regions. They come to network with peers and urban transport experts from Europe and beyond, and spend breaks in the exhibition area. It offers exhibitors the possibility to host social functions or an info session during one of the breaks. Registrations for conference attendance open in June. The Polis Annual General Assembly (for Polis members only) takes place on 21 November 2018.